St. Patrick's Day is right around the corner. 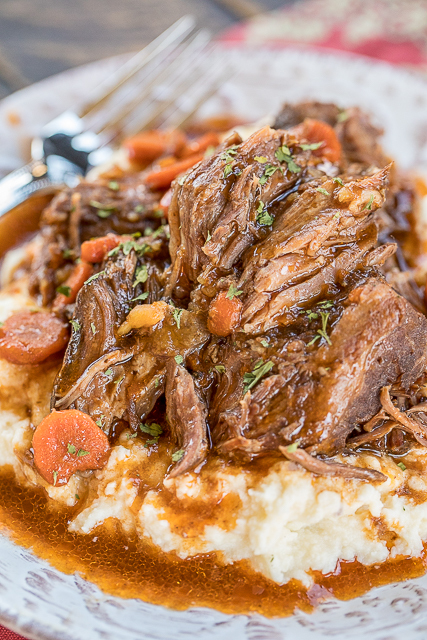 This Slow Cooker Guinness Pot Roast is PERFECT for your celebration. 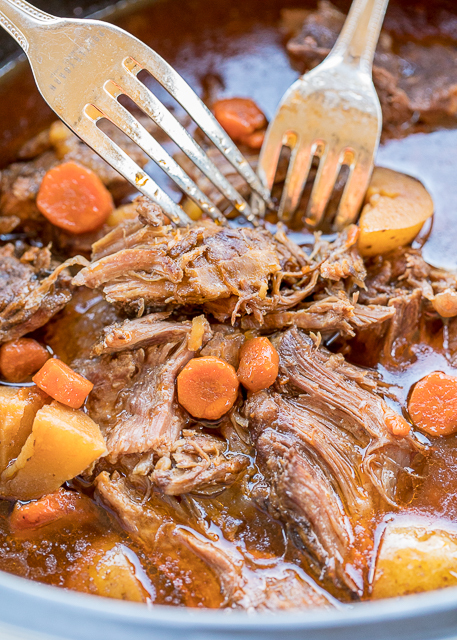 Just toss everything in the slow cooker and let it do the work for you! All you need is some mashed potatoes, rice or grits and dinner is served. Oh, you probably also want a cold Guinness to go with the pot roast too. 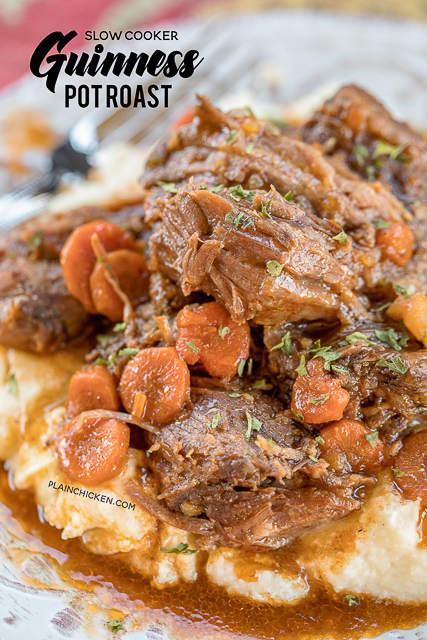 This Guinness Pot Roast is super simple to make with only a few ingredients. I like to sear the roast before placing it in the slow cooker. I think it gives the finished roast a little more flavor. If you are pressed for time, you can skip that step. I am not a big beer drinker, so I was worried that the roast would takes like beer. No worries! It was delicious! SO tender and full of amazing flavor!! Heat oil in a large skillet over medium-high heat. Add roast and cook on all sides until lightly brown, about 2 minutes per side. Place seared pot roast in 6-qt slow cooker. Add remaining ingredients.